I am proud to say that my chapbook “Time Before Time: Units of When” has earned the top rating of 4 out of 4 stars in the following book review by the Online Book Club. This we know from books we behold. Than when unleashed in poem or song! The chapbook Time Before Time: Units of When by Paul F. Lenzi inspired that simple quatrain from my poetic bosom. I do spout poetry once in a while and thought myself equal to facing this book. Unprepared, I was not. Here’s how to read this book: One, have an unabridged dictionary and Google at the ready. Two, set aside many hours of silent concentration. Three, allow yourself to bask in Lenzi’s heartfelt poesy. You will encounter 56 poems (55 by Lenzi and one by Yeats), all of them works of vivid imagery. Lenzi’s “Syntax” defines how to enjoy poetry – “guided by feeling/ without need of knowing.” There are no right or wrong interpretations. The shortest poems are three-liner haiku (four of them); the longest (“This Thing of Ours,” a free-form, free-verse piece) has 67 lines. Lenzi declares the central theme as time; it was a challenge to find time in all the verses. Then it dawned on me: everything under the sun is a function of time! The poems crudely fall into various sub-themes: e.g., growing-old time, getting-sick time, olden times (history), travel time, and even cooking time and chow time. Next to the Preface, the book features “The Second Coming,” an oft-quoted poem by William Yeats and a personal favorite of Lenzi. It was written in 1919 in the aftermath of World War I, the Easter Rising and the Russian Revolution. All three are world events that shaped history and yes, time. If I had my way, I would have included Ecclesiastes 3:1-8 (saying there is a time for everything) from the Bible. The author seems to have a poem for everything. He takes you to Pisa’s “Leaning Tower,” to the mythical world of Arabian “Ubar,” out in space to the red dwarf star “Barnard’s Star,” and inside the sterile walls of an operating room in “Under the Knife.” He bathes you with the wonders of “Midsummer” and extols the beauty of “Leaves.” You meet the young generation in “Snowflakes” and feel the author’s distaste for “A Secular Sect” (the members of Congress) and the “Vermin” of Washington. You ache for those afflicted with “Sciaticam Vehementem” and “ALS” and pity the frail aging in “Sad the Surprise.” You chuckle as you read about a cherished pen (“Meisterstuck”) and the fake nose of Danish astronomer “Tycho.” From now on, thanks to Lenzi, I will await the rain for petrichor and salute my country’s pennon. There is so much to learn from the man. That is no wonder as Lenzi was schooled in Philosophy, Ethics, and Political Science. 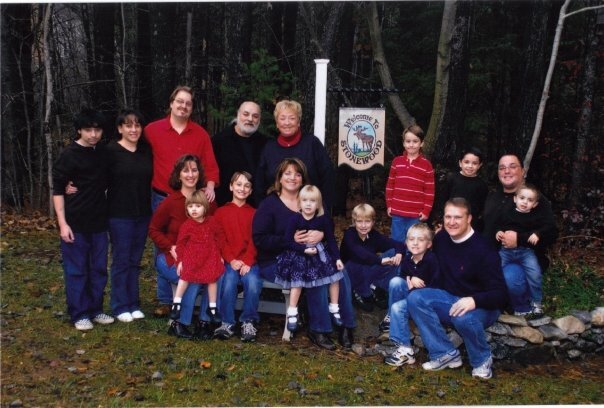 He now lives in quaint New Hampshire with his wife of 48 years and boasts of three children and eleven grandchildren. Now past middle age, he suffers the occasional pains and takes the mandatory maintenance drugs. Imagine all the inspiration his experiences (joys, successes, sufferings, worries, etc.) afford him. He has been writing poetry since he retired (as Insurance executive) fourteen years ago, with almost four thousand poems to his credit. (In fact, this is his twenty-second book and the fifth chapbook.) He is a member of various poet societies, a stalwart of Poets for Peace, and a multi-awarded blogger. In the Preface, Lenzi tells us that he writes in “free form, free verse style, without regard for rules of punctuation, grammar or format.” Indeed, only proper nouns are capitalized, and you see no periods or commas cluttering his verses. This freedom of style adds to the challenge of reading the poems (remember the silent concentration I advised). There are a couple of non-distracting typos: e.g., “Washington” not capitalized, “Johannes Kepler” called “Johan” (his nickname? ), and “into to the mists.” But I cannot be sure they are unintended, owing to his heads-up about disregarding rules and the proverbial poetic license. They are much too few and trivial to matter, anyway. I followed most poems to his blog (Poesy plus Polemics: Words of Wisdom, Worry and Whimsy) and found a work of art (a painting, sculpture, poster, etc., from another artist) accompanying each poem. I only wish those, too, were included in the book; they definitely enhanced my reading pleasure. I also believe that an index will bolster the book’s likability. There is no apparent order in the presentation of the poems. An alphabetical index of the topics and themes (hashtags in our modern times) at the end of the book would allow readers to quickly navigate to their areas of interest. I cannot help but give this packed volume 4 out of 4 stars. This book is meant to be savored slowly, bit by precious bit. The wealth of knowledge that I gained is priceless. The emotional highs (and lows) I experienced are memorable. There is lively humor in there, too. I was challenged, I was touched, and I had a great time. I will count this book among my favorites. Those who wish to enrich their vocabulary, experience soulful poetry and marvel at the vastness of time will do well to get acquainted with this collection. For those who will explore Time Before Time, I offer this advice. Take your time. I am excited and highly pleased to announce that my recently published chapbook “Time Before Time” has received an enthusiastic positive review from the prestigious Online Book Club, who gave it their top 4 star rating. You can read the entire review here. You can find my book here. © Paul F. Lenzi and “Poesy plus Polemics” 2006-2018. All written content of this blog and website is protected under U.S. copyright. Unauthorized use and/or duplication of this written material in whole or in any part without express and written permission from this blog’s author and owner is strictly prohibited. 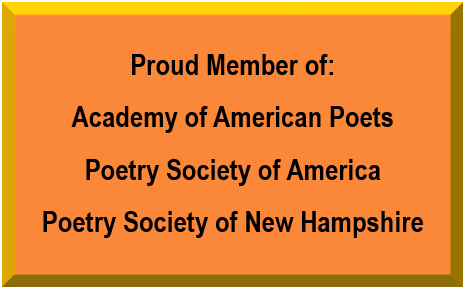 Excerpts and links may be used, provided that full and clear credit is given to Paul F. Lenzi as author and “Poesy plus Polemics” as source with appropriate and specific direction to the original content. VICEDOMINI OF THE WUP New Name, New Location! Welcome to our poetry corner, The Poets’ Corner NEW SITE! The name has been changed to (our) because it belongs to all of us who post! Sincerely hope you find the change easy and exciting to be here! Please feel free to post and comment your thoughts so we all can enjoy!